This past weekend, I spent my time documenting Stephen van Vuuren promoting his film In Saturn’s Rings (formerly known as Outside In) at Astronomy Days in Raleigh, North Carolina. For those that don’t know, In Saturn’s Rings is a film made by still photos from NASA space missions. It is being made specifically for IMAX theaters and dome theaters. I have been a long time supporter of the film since he first told me about his idea in 2007. I have seen it transformed from many script revisions to what it is today. I’ve seen Stephen persevere through many pitfalls. I’ve seen the motherboard failures, hard drive failures and lightning storms fry computers. He’s also shown the patience to wait for new software to be developed and improved upon and for new photos to come in. I’ve also watched him develop new techniques to get his image on to the IMAX screen. So to be there from the beginning and watch all the hard work pay off for a special weekend was nice. 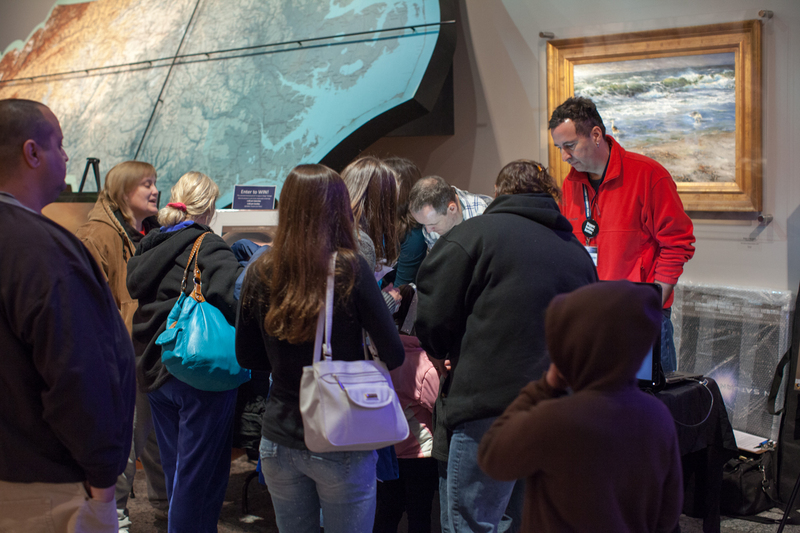 In Saturn’s Rings got a huge response at North Carolina’s Museum of Natural Science’s special event Astronomy Days. 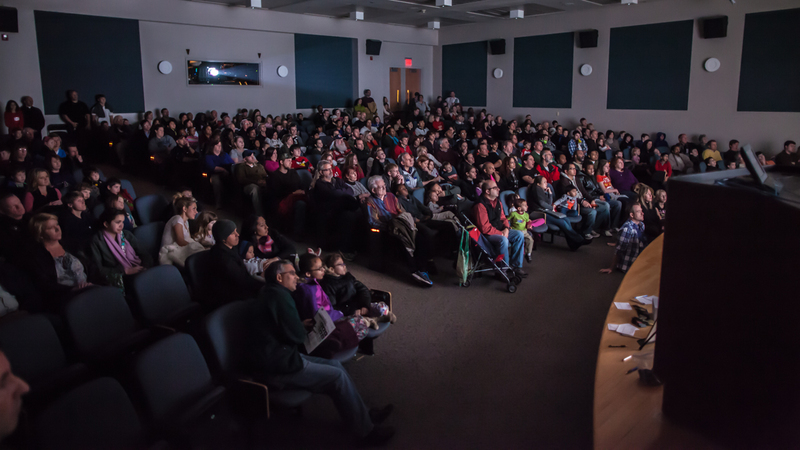 Both screenings were at standing room only capacity. On Sunday, we had to turn away as many as fifty people. The booth outside was visited by people of all races, ages, religions and genders. 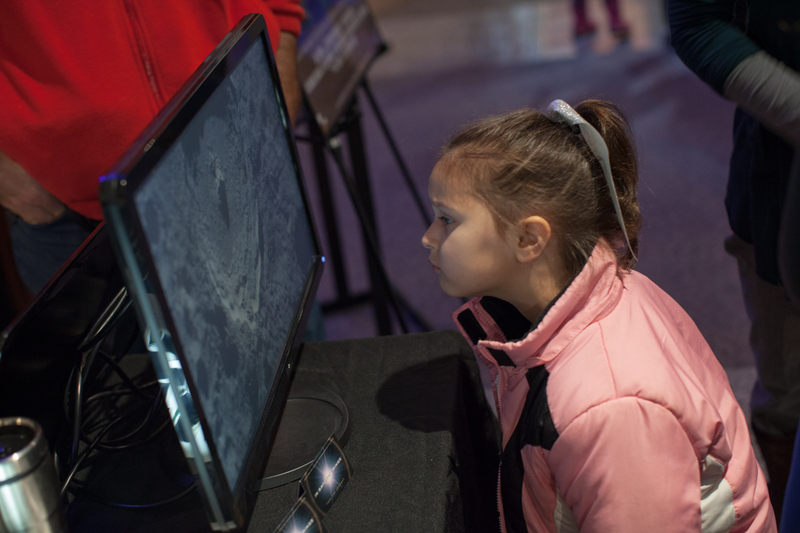 Everyone seems to love space exploration! 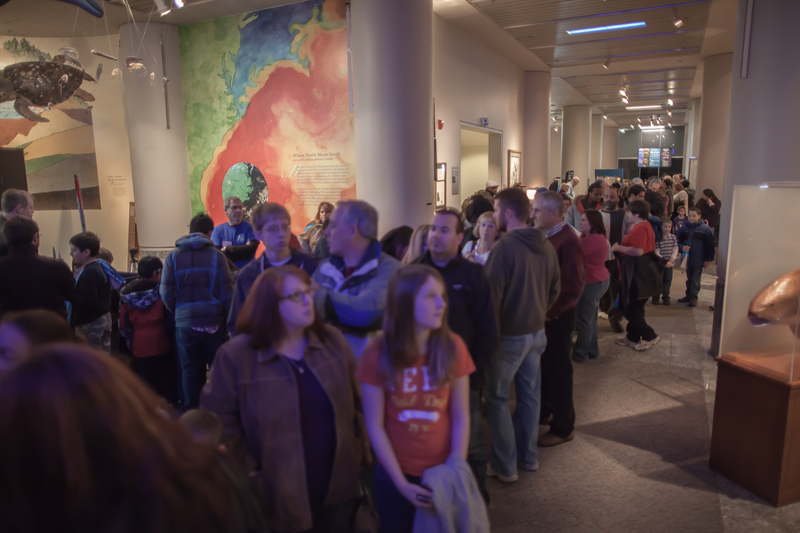 People lined up to see In Saturn’s Rings. People lined outside the booth. I did some interviews with fans after the screenings and what seems to get people excited the most is that these are real photographs and not CGI. All the images in the film will be actual images taken in space. Below is a short clip Stephen posted a year ago. If interested, please click the link above and check it out. He’s still looking for supporters and volunteers. In Saturn’s Rings 5.6k Saturn Cassini Photographic Animation – Expanded, Improved from Stephen van Vuuren on Vimeo. Later, I’ll be posting more footage and interviews from Astronomy Days. Great photos! It was a pleasure meeting you, sharing a beer, and swapping music interests. Take care man, I’m sure we’ll see one another here soon. Thanks Kevin. Yes, it was great to meet you this weekend and I’m looking forward to hanging out again. Hopefully, it’s soon.